Lacy Ivory Brooks, 92, of Staley, departed from this life on Thursday, June 29, 2017 at Woodland Nursing Center in Asheboro. A funeral service will be held on Monday, July 3, 2017 at 2:00 p.m. at Oliver's Chapel AME Zion Church with Rev. Sharon Mitchell officiating. The family will receive friends from 1:30-2:00 p.m. prior to the service at the church. The burial will be following the service at Dr. Clyde M. Gilmore Memorial Park in Julian. 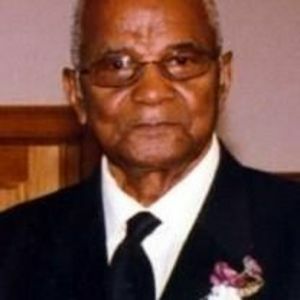 Lacy was the son of the late Myrtle Staley and Ivory William Brooks. He was also preceded in death by his wife, Jessie Lee Alberta Brooks; son, Ruben Brooks; three sisters and four brothers. He was a member of Oliver's Chapel AME Zion Church. Lacy is survived by daughters, Carolyn Alston (George), Mary Vaughn, and Marjorie Gales; son, James I. Brooks (Carol); and sister, Faye Frazier (Buddy). Lacy also leaves behind ten grandchildren, twenty-three great-grandchildren, and thirteen great-great-grandchildren. Loflin Funeral Home of Liberty is honored to serve the Brooks family.